Montauk's favorite Seafood restaurant. Located on the water at the edge of the entrance to Montauk Harbor. Spectacular views, specialties, lunch dinner and drinks in a casual atmoshphere. Walk-Ins Welcome. Good For Groups. Good For Kids. Take Out available. Waiter Service, outdoor seating, ample parking. 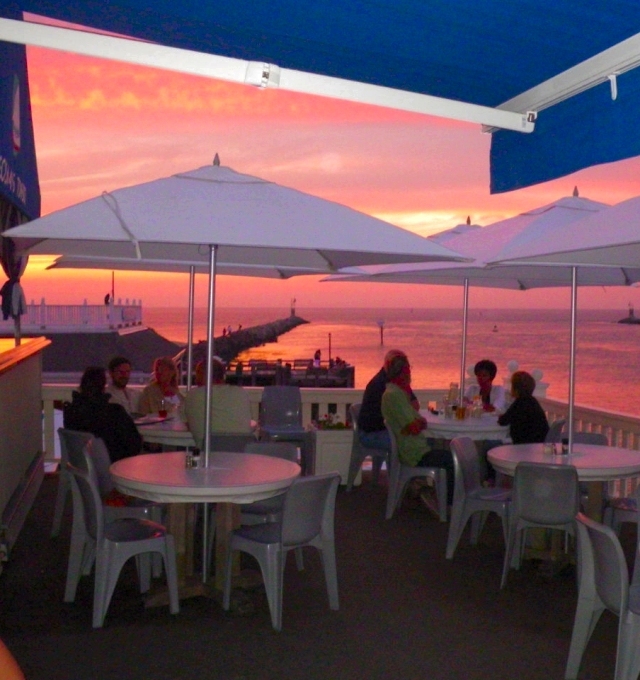 Topside boasts the most breathtaking panoramic view of Montauk Harbor, but we're much more than just a spot with a view. Our innovative menu balances complex flavors with the freshest seafood and produce. Our outdoor bar has an extensive cocktail menu that specializes in frozen refreshments. We feature daily kitchen and bar specials, attentive service, all outdoor seating and did we mention the view? Join us for an extraordinary dining experience you won't soon forget. Our innovative menu balances complex flavors with the simplicity of the freshest seafood and produce. Sushi Chef Tony has raised the bar for sushi in Montauk. We feature new daily specials from our kitchen and sushi bar that are as pleasing to the eye as they are to the palate. The newly renovated Inlet Cafe offers both indoor and outdoor seating, attentive service and spectacular views of Montauk Harbor. We even have choices for the kids. 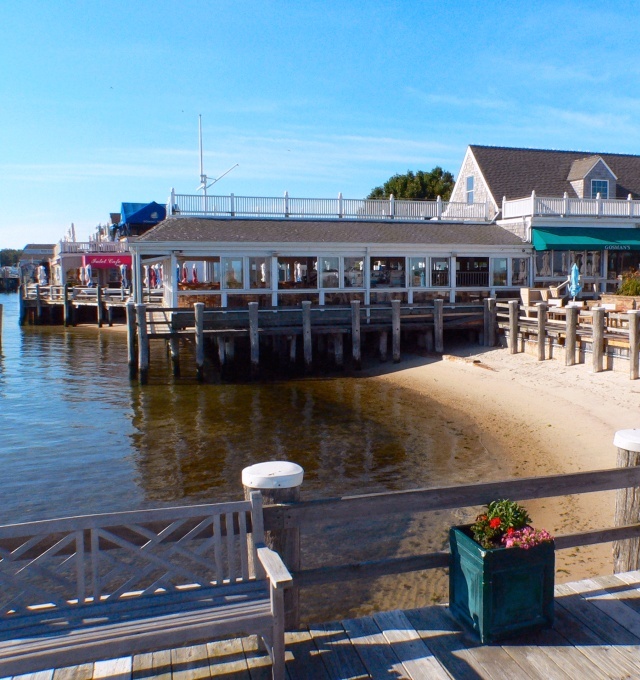 Gosman's Inlet Cafe is the perfect place for a group celebration or an intimate dinner for two. The Real Montauk Still Exists - you just have to know where to look. Homemade Chowder, Lobster Rolls, Grilled Tuna and Swordfish platters, Steamed Lobster, Clams on the half shell, Ice Cold Beer, and plenty to keep the kids happy (and soft serve ice cream too).You never have to wait for a table and the view is ideal. 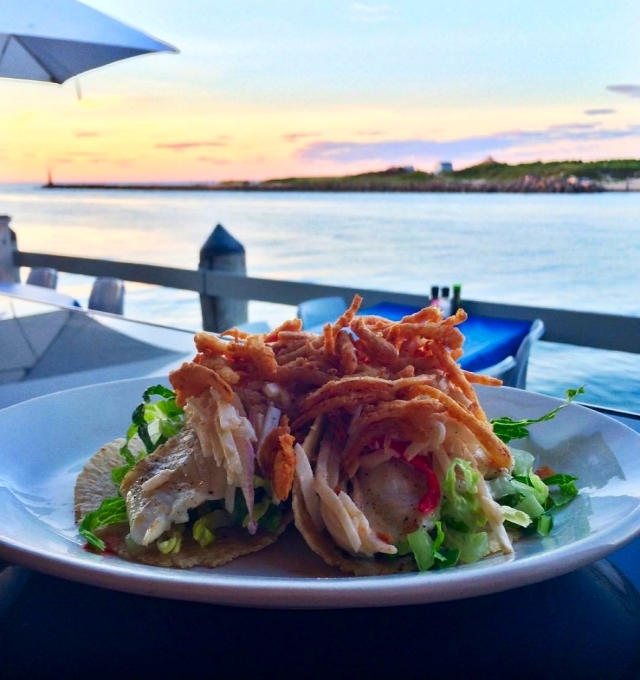 Family dining or anytime dining made simple,with the best view in Montauk. - Gosman's Clam Bar. 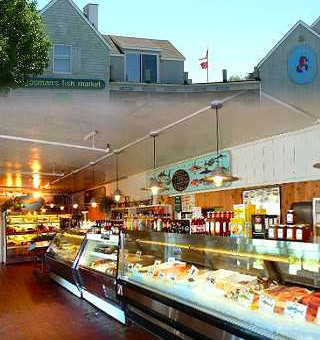 Our retail market features the freshest and best selection of seafood in Montauk and on the east end of Long Island. Locally caught fish direct from our own docks to you! We have specialty seafood flown in daily from around the world making many exciting options available for amateur and professional chefs alike. Welcome to the Gosman's Culloden House Motels at scenic Montauk Harbor... the perfect location for a peaceful retreat by Block Island Sound. Gosman's Summer Concert Series.....Gosman's Dock Summer Concert Series is here. Beginning in July and continuing Sundays in July & August, Gosman's is proud to present FREE CONCERTS on our outdoor stage from 6-8PM located at 484 West Lake Drive. 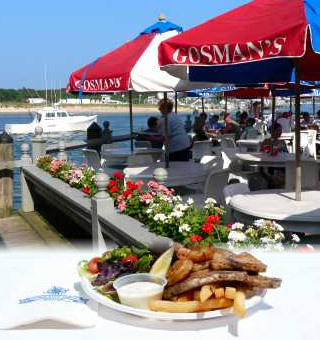 Gosman's Dock in Montauk, NY was founded in 1943 by Robert and Mary Gosman. At the time, the Gosmans were fish packers and "fishdrummers" (agents for Fulton Market). The Gosmans family bought the properties in 1950 and additional land in 1958.